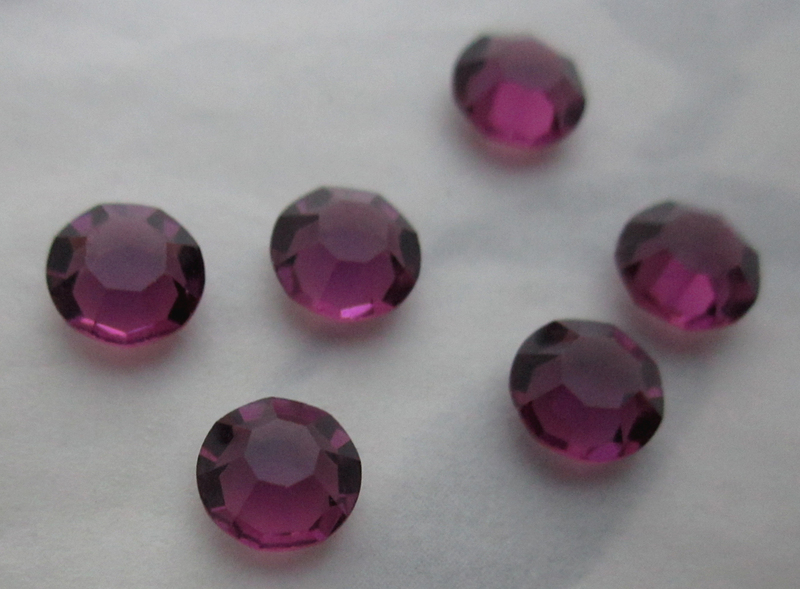 These are ss29 or between 6.14mm and 6.32mm. Vintage MCC machine cut crystal amethyst purple unfoiled chanton rhinestones. New old stock. Jewelry supplies.